Man O’ War Steps is located on the eastern side of the Sydney Opera House and Bennelong Restaurant. 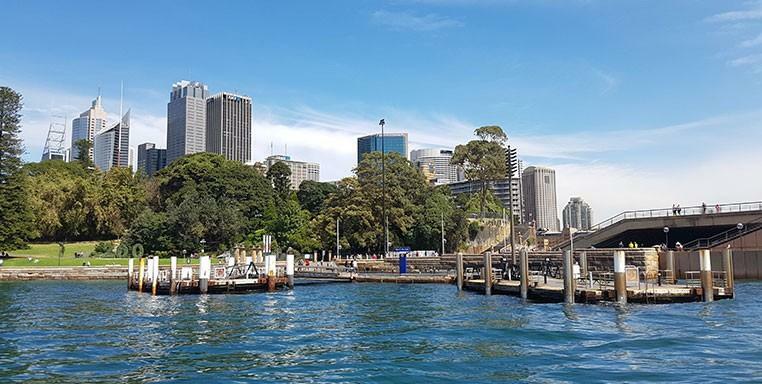 Sydneysiders use the Man O’ War Steps as a shortcut to the Botanic Gardens, a great place for a picnic or wedding day so why not take a water taxi and enjoy all sights of Sydney Harbour. This is a good place to access the Opera House to see one of the many plays or concerts held here, you can board your water taxi from or to here and leave the traffic and parking wows behind. Want to see the absolute best of Sydney’s fabulous Harbour? Book your Sydney water taxi tour with us. We’ll help you see exactly what you want to see in Sydney in style. Talk to us about your travel options, sightseeing, and getting around Sydney Harbour by water taxi. Book your fabulous Sydney VIP water taxi tour online or just give us a call. Let us help you make your Sydney travel easy, fun, and fascinating.